Laundry Washing Machine Tips – When to Use Hot, Warm or Cold Water ? 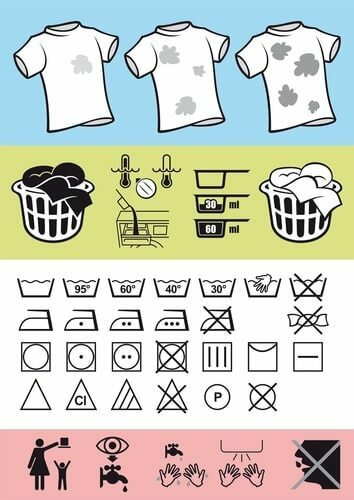 If you have ever pulled out a pink shirt out of the washing machine when you know you had put in a white one, or put on a fresh pair of jeans that are still sporting the signs of last week’s brunch, you know that washing clothes can get complicated now and then. You all know the drill, sort by color, fabric, soil level and advice on care label. So then, what is all the fuss about? The quickest way that most people rely on is that of using cold water for all range of clothes. While this may save time, there are costs that are incurred in the long run. Others may opt for using hot water which may work for most fabrics, but not for some. Choosing the right water temperature to use is of essence since it directly affects performance of detergent, wrinkling of clothes and the lifespan of your clothes. This means one aspect-water temperature on the machine-cannot be ignored. You can measure this using a candy thermometer. Here are a few laundry water temperature tips to guide you so that this necessary chore does not become daunting for next time you drop by at the nearby laundry mat. Which one to Use? Hot, Warm or Cold? Hot water is approximately 130 degrees Fahrenheit. 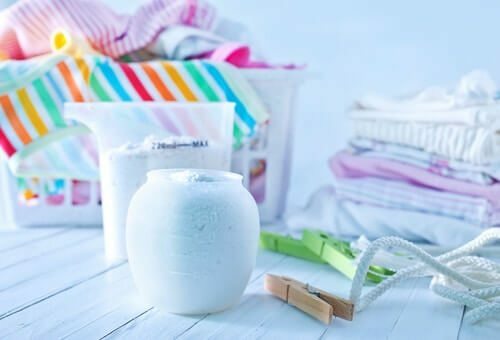 It is suitable for whites, diapers, significantly soiled clothes, sturdy fabrics that retain their dye, sweaty garments, oily stains, and bed and kitchen linen. During those months of cold and the flu-and we know they will come-hot water becomes your best friend especially for the pillow cases and bed sheets of the infected family members. It is no secret, hot water kills germs. The disadvantage though is that it may cause shrinkage, fading and damage to some fabrics. Of utmost importance then is to read those labels, they will be your life saver. Warm water temperature is about 90 degrees Fahrenheit. It is best used when handling knits, jeans, towels, cottons, sheets, sturdy play wear, school uniforms, light colors that won’t run, blend of natural and synthetic fabrics and man-made fabrics like nylon, polyester, rayon et cetera. The advantage of this temperature is that no significant fading or shrinking occurs. All you mommies with children, grime is no stranger to you, use this temperature for those grimy clothes and let all your horrors melt away! The ladies who have questions about what temperature is right for their delicate clothing, go no further, cold water-80 degrees Fahrenheit, give or take-is the answer. It is useful for dark colors and bright colors that run or fade. It can also be used when handling delicate fabric like washable silk, swimsuits, active wear and lingerie. It is the best to remove blood, red wine and coffee spills. It also saves energy and is Eco-friendly. So for those who are very sensitive about our planet you may relax! During winter and those cold months warmth is everything, having a shrunk woolen cloth is the last thing you need. Don’t despair you are in the right place, cold water minimizes shrinking of washable woolens so use it. The problem however, is when you have heavily soiled laundry you may need to pre-treat or pre-soak before you wash.
Rinsing is like a walk through the park. Cold water works for all fabrics with no harmful effects on the wash load. It does not set stains, it helps to reduce wrinkling in synthetic and sturdier fabrics while saving energy.